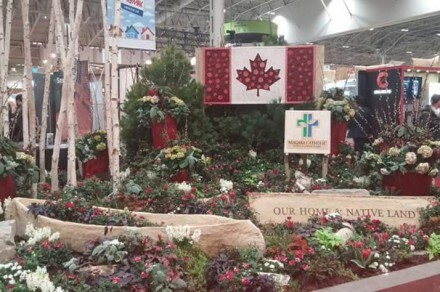 Celebrating Canada’s 150th Birthday at Canada Blooms all over again! The 2017 theme inspired our garden designers and builders to create acres of fun and interesting gardens that captured the imagination. Our talented garden designers, builders and floral superstars got into the party mood as they interpreted the theme of Oh! Canada. Celebrate Canada’s Birthday with us! Vistors are welcomed to celebrate Canada’s 150th birthday by bold colours or red and white roses surrounding the national icons of the beaver, canoe and flag, which were had crafted by students of the Niagara Catholic School Board. October 16, 1966, Chanie, all of 12 years old and, stranded some 650 km away from his family at an Indian Residential School, did what so many Aboriginal children in residential schools did – he ran away. He went out on his own, determined, but ill-equipped for the unforgiving terrain of Northern Ontario and the freezing temperatures. Chanie’s lifeless body was found by some railroad tracks. Inspiration for us has always come from the natural beauty of Canada’s streams and waterfalls. By recreating what Mother Nature has perfected, we’re able to create a truly Canadian paradise in our clients’ backyard. The quintessential Canadian backyard. Our space represents the essence of Canada with a space that appeals to all. This cozy backyard is designed with relaxation in mind. Unwind in a hammock under the shady canopy of vines. 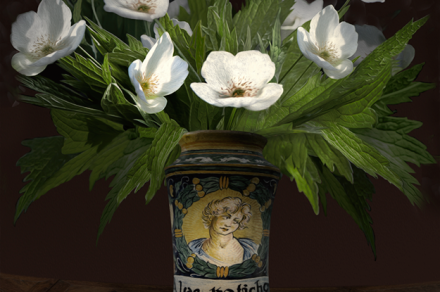 Listen to the soothing sound of bubbling water as you delight in the embrace of this lush collection of unusual plants. Who needs a cottage when you can reach out and touch nature in your own backyard! Back to basics with Canadian flair. This 4000 sq.ft. oasis displays many different features that define Canadian Culture. A central courtyard with the symbol of a maple leaf has been strategically placed on the ground with the use of native Canadian natural flagstone materials. A custom raised water feature with a curved infinity edge designed to symbolize Canada’s Horseshoe Falls, a world renowned piece of Canadiana. Crisp, clean, serene and tranquil in a natural setting. We have created a chic contemporary garden that references the elements upon which our country is founded. Fire for industry, water for relaxation and transportation, and of course plants. Lots and lots of plants for food, medicine, peace of mind and shelter. Canada is cohesive with a diverse culture that allows for a starburst of various creative talents. Ida’s Designs worked with Don Valley Junior Highschool to paine butterflies for a kaleidoscope of Canadian talent. RAW Customs helped put together the steel statue Canada’s Sesquicentennial, a man carryiing our national symbol: the maple leaf. 1867 garden design, with its classic stone walls and porch seating was an era of simpler times. This 1867 garden is reminiscent of a stately front courtyard. Its quadrant layout is elegant and inviting, well suited for visiting and entertaining guests. Blacksmiths and craftsman transformed the mundane into works of art, with ornate gas lit iron lanterns and extravagant handcrafted front doors. Evergreens and roses provide beauty and aroma to the senses of guests as they walk the pathway to the front door. We are lucky to live in a country with 4 seasons. In most parts of our beautiful country, Winter is the longest season but often over looked by homeowners when they think of landscaping. This down to earth casual front doorstep garden demonstrates how to manage grade changes smoothly to maximize space. It also proves that a small front yard can have it all: Small sitting area, privacy screen, low maintenance gardens in raised planter boxes instead of high maintenance lawn and of course Winter Interest. Cultural diversity and inclusiveness are distinctive qualities that make Canada shine! A nod to the designers heritage and the birthplace of cool mid-century modern style, this Scandinavian-chic front yard display is right at home in trendy Canadian neighbourhoods where space is limited. Clean lines, smooth masonry and an eye catching colour palette punctuates this contemporary garden plan. The vintage chairs and large planters equipped with native trees give an air of casual sophistication to the space. A front yard chevron patio and sumptuous plantings perfect for morning coffee, this exhibit offers some surprises not shown, come and see in person! Contemporary elegance in a small space. A piece of tranquility in a bustling city. Canada Day at the cottage. Good Times, Good Friends Great Country. True North, Strong and FreeG34By Bancheri Bros.
150 years of Canadian roots bloom here! This display is focused around one of Canada’s greatest natural features – Niagara Falls. This water feature is the highlight of a contemporarary patio space and is accented by anumber of candles to signify the celebration of Canada’s sesquicentennial. 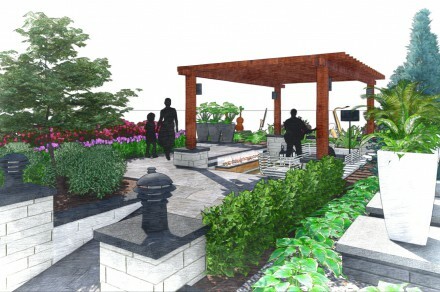 A modern landscape design modeled after the ever changing communities throughout Canada. Celebrating Canada’s Four seasons in your very own yard. 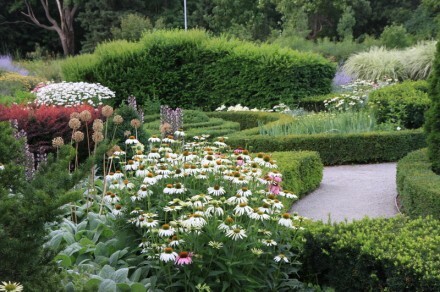 As a tribute to Canada’s wilderness and nature, and our leadership in protecting it, this garden showcases many eco-initiatives including pollinator support, drought-tolerance, use of native plants and rain water handling. Since the garden is for ‘Dig Safe’ by the Ontario Regional Common Ground Alliance (ORCGA), it features a display of what pipes and wires are below ground. Embracing our home and native land can be done by traveling cross-country or as easily as nestling in our own home landscapes. We are framed by rock, water and majestic trees far and wide. The mission of the Highway of Heroes Living Tribute is simple: to honour Canada’s fallen by planting 117,000 trees – one for every member of the Canadian Armed Forces that has fallen since Confederation – along and near the Highway of Heroes between Trenton and Toronto. 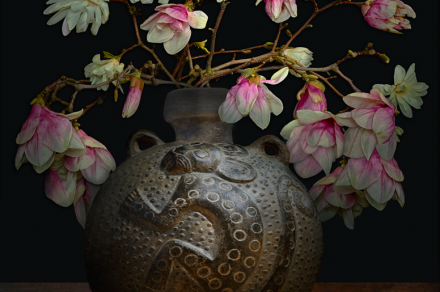 Canada Blooms is excited to announce the Botanical Art Exhibition by Artist TM Glass at Canada Blooms 2017. 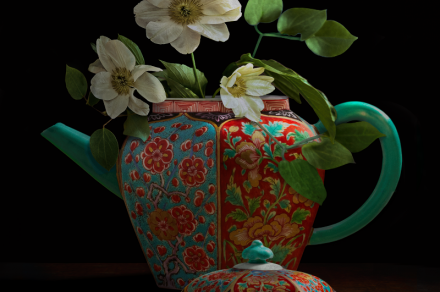 The magical exhibition of photography will celebrate the 150th anniversary of Confederation and 150 years of Canadian flower horticulture. BELLY UP TO THE BOTANICAL BAR AND UNEARTH THE BEST THINGS IN LIFE This urban garden is intoxicating – full of natural beauty, country charm and wild elixirs that will raise your spirits and feed your soul. 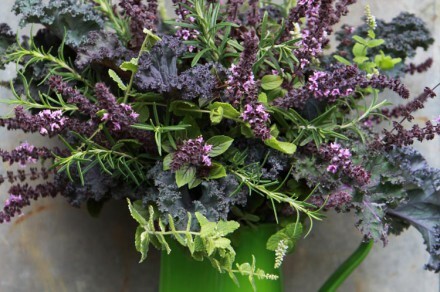 Discover how to infuse your urban space with plants that will increase your well-being and make a positive impact on the planet. 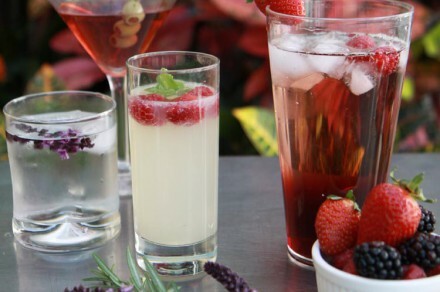 Belly up to a botanical bar staffed with knowledgeable guest ‘bartenders’. Shake up your senses at the tasting bar with flights of Toronto honey and tastes of Ontario trees, along with other daily specials. Guest authors will also be signing their books throughout the show. Through the years, our love of everything outdoors has included a commitment to protect and preserve our planet and its resources. In our own backyard, we make sure all of our plants keep wooden crates from entering landfills through an environmentally friendly returnable crate program. We had a dream that started with a tiller. It grew through inspiration and perspiration. 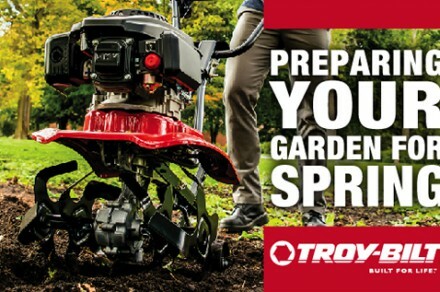 And today, the Troy-Bilt family is flourishing, offering a healthy selection of riding mowers, walk-behind mowers, tillers, cultivators, trimmers, snow throwers, edgers, log splitters and garden tools all designed with your outdoor dreams in mind. 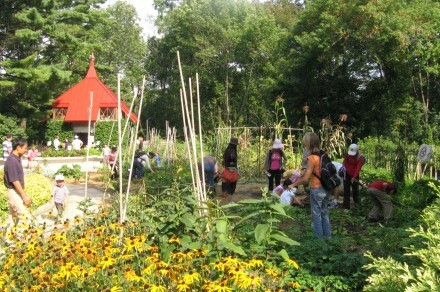 The Fafard Gardening Experience is perfect for kids from 5 to 95. Come play in the dirt and discover the do’s and don’ts of planting and you can leave with a seed or seedling that you can take home to practice your new learned skills. Learn hands-on from industry professionals with a new line up of workshops and demonstrations which are available in the workshop area of the Fafard Gardening Experience. Whether you are creating a small space or container garden in your condo or a huge backyard oasis, Canada Blooms: The Flower and Garden Festival offers you an opportunity to shop for useful and unique items, meet with garden experts and enjoy a great day out. 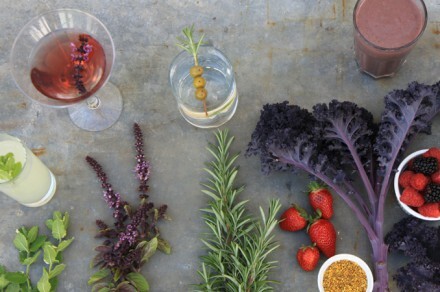 So, leave the winter blahs behind and get a jump on the garden season.